I have not yet watched all of the 71 hrs+ of conference content but from what I have seen I have been absolutely blown away by this series. The quality of the content and format makes it the next best thing to being there. On my Mac, the conference sessions download as QT movies. The presentation from each speaker appears in a main window on the left and there is a smaller window in the top right where you can see the speaker. The quality of both the video and audio is first rate and I was able to stream the content to my Apple TV and watch it on a big screen and it was like having front row seats at the conference. 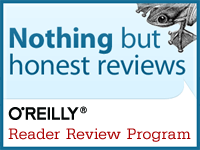 One day I would like to get to a Strata Conference and this video series from O'Reilly has made me want to go even more. However, I don't think I have missed any of the content last year by not being there. For much, much less that the price of the airfare, I now have the whole conference program to watch. Bottom line: Yes, I would recommend this to a friend!